Butterfly Reflections, Ink. : Happy Halloween! 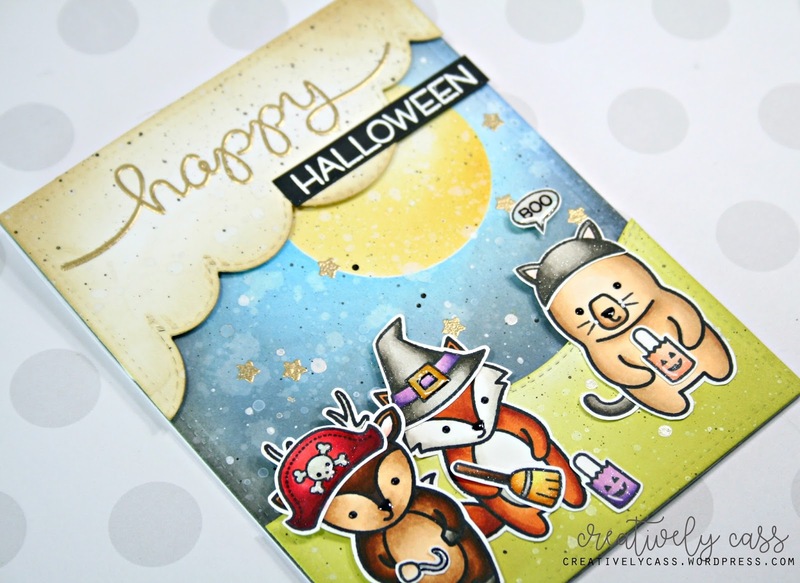 I'm mixing a bunch of Lawn Fawn products today, to create this cute little trick-or-treating scene. I think part of my love for Halloween card making is making those beautiful night skies with huge full moons! They are sooo fun. 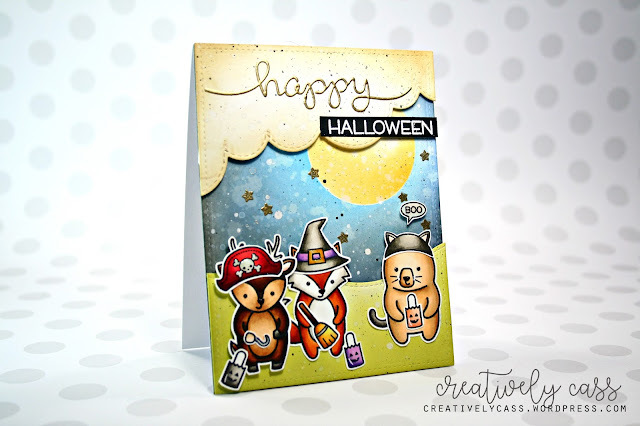 I combined the Party Animals, Booyah, and the Big Scripty Words stamp sets to create a cute little characters and sentiment. The Puffy Cloud Borders and Stitched Hillside Borders set the perfect scene for the littler trick-or-treaters. I even had time to make a video for today's card! Woot woot! I'm still learning, so it's not the best video, but hopefully it helps explain the card making process for this card. Thank you so much for stopping by today! I hope you're all enjoying the last few days of August. Have a great day! Halloween, the All Hallows Nighttime, is here once more. With eerie and spooky happy Halloween announcements 2016 and greetings, you can haunt friends and family and family in the night time of Halloween. Love your card. It's so adorable. Thanks for including the video.